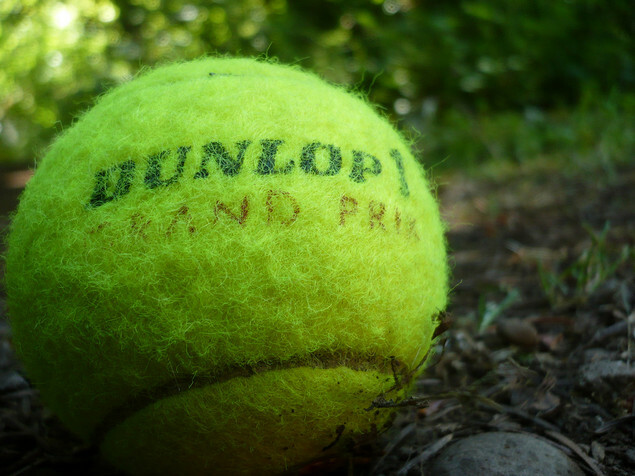 If you are like most people, you may have a tennis ball or two lying around the house (or maybe the dog is using them to play fetch with). Use the spare tennis balls to store small items like screws, push pins, paper clips, rubber bands, tacks, and nails. Follow the simple steps below to create some fun storage in a garage, game room, play room, or utility room. • Using a utility knife, cut a small slit in one side of a tennis ball, squeeze the ball to expand the split and drop your screws or nails inside. • These portable storage solutions can be organized easily inside a dresser, armoire, or utility cabinet. Drill screws into the bottom of a drawer, and then drill small holes in the tennis balls to fit onto the screws in the drawer.